Arizona Biltmore Dentistry is happy to accept dental insurance. In fact, our team is well-versed in the nuances of insurance, so we’ll file and track your claims for you, in addition to verifying your benefits to give you an accurate estimate of your treatment cost. Please bring your insurance card or information to each appointment so we can make sure your patient file is up-to-date. 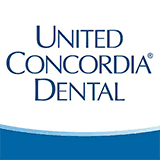 We accept the following dental insurance, in addition to many others. Call our office to find out if we accept your plan! Not everyone has dental insurance, or if they do, it might not be enough to let them get the care they truly need. That’s why we offer three different in-house dental loyalty plans. For an annual enrollment fee, plan members receive a number of routine maintenance treatments at no additional cost plus 20% off regular fees. There are no deductibles, annual maximums, exclusions, waiting periods, or middle men — just savings on high-quality care. For patients with no history or presence of periodontal disease. For patients with a history or presence of periodontal disease. Plan lasts for 1 year from enrollment date and needs to be renewed every 12 months. Unused benefits do not carry over. Plan is only valid at Arizona Biltmore Dentistry. In-house plan is not insurance but a discount through Arizona Biltmore Dentistry. Plan discounts cannot be combined with any other special offers or discounts. Members using third-party financing will incur a 10% increase in fees. Out-of-pocket expenses can catch you off-guard, but they shouldn’t stop you from getting the quality dental care you need and deserve. Our practice is happy to accept third-party financing through CareCredit®. This option works like a credit card for your healthcare expenses. They offer low and no-interest plans, as well as extended repayment options. Visit their website to learn more and complete the quick and easy online application. * Regular Value $360. Valid in absence of active periodontal disease. ** Valid in absence of active periodontal disease. Savings of over $2,500.